It’s been more than a year now since we started stocking the fantastic range of LED Headlights from Australian supplier HogLights. From humble beginnings, HogLights has grown into a major player in the parts scene in this country. More and more bike shops and riders alike are choosing HogLights thanks too their quality components, great style and competitive pricing. HogLights super-bright headlamps are fantastic for improving a rider’s field of view at night, enabling clearer vision for greater distances. Likewise, oncoming vehicles will be able to see you from further away, which also increases rider safety. 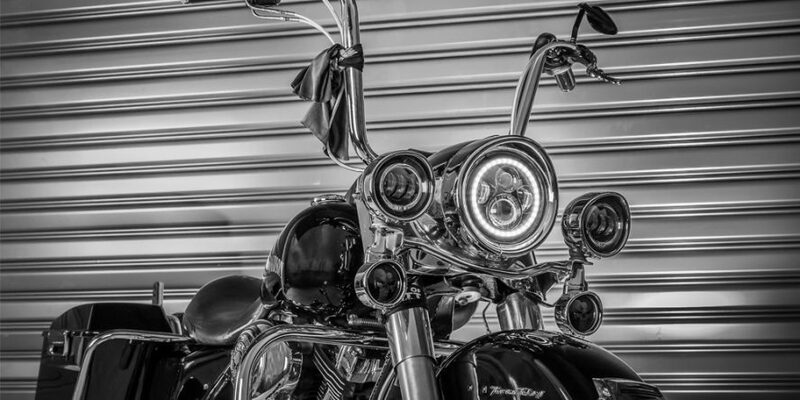 If you’re looking to upgrade your old headlight, check out the HogLights range for Harley-Davidson and Indian motorcycles. Great value and great performance! View the HogLights online catalogue. Rollies Speed Shop Distribution distributes HogLights products in Australia and New Zealand. Locate your nearest dealer, or call (07) 3252 5381 for more information on this or any product.